There are many beautiful and diverse grasslands around the world, as two of our newest staff members can attest. Before joining the Conservancy team, Rodrigo researched prairie dogs, ran cattle, and managed bison in the arid grasslands of Janos, Chihuahua, Mexico. While Lindsay snorkeled seagrass meadows in the Philippines, working with fishing communities to protect and restore this threatened ecosystem. Both arrived at the Conservancy a year ago. In twelve months, a lot has changed. The team has grown even more. We welcomed Jenna Allred, the Conservancy’s weed guru; Rue, our cattle dog who joins Kyle in the field every day; most recently, a five-person seasonal field crew; and, soon, we will be expanding our cattle herd and adding an extra grazing technician. What is going on at the Conservancy, you wonder? We are very excited to announce our new Grasslands Initiative, an unprecedented five-year investment in restoring the health and beauty of The Preserve’s grasslands through expanded grazing, mowing and targeted spraying. This effort will also reduce wildfire fuel loads and sustain a broad diversity of wildlife. This is a turning point for The Preserve and builds on the last five years of rigorous research and efforts. In California and globally, native grasslands have been dramatically reduced in size and biodiversity. Over the past 15 years, experts have observed and documented a decline in grassland health across the state. Evidence includes the rapid spread of weeds, the decline of ‘key indicator’ species (i.e. American badger, burrowing owl, and California tiger salamander) and dense thatch smothering native plants. Grassland health is dependent on disturbance, such as natural grazing and fire. In settings like The Preserve, active management is needed to maintain grassland health. Ecological decline observed in California and elsewhere is the result of multiple factors, including a lack of active management. On The Preserve, we have already observed benefits of our Conservation Grazing Program over the last five years. Our early efforts are being rewarded with sightings of wildlife that had not been seen for a decade or more. We are ramping up to do more, and not only with cattle. Our seasonal crew is already hard at work and making a difference. We are also preparing to conduct prescribed burns later this year to improve wildlife habitat and restore the scenic beauty of our grasslands. By the end of April, our entire full-time field staff will be wildland fire fighter certified. To accomplish our goals, we are embracing a multi-technique approach, using both human and bovine expertise. Our Conservation Grazing Program has been our most effective tool to date for managing large grasslands and extreme topographies. We currently have 43 cows in our herd, and expect to double this number in 2019, allowing us to graze more than twice the acreage while providing the flexibility to graze in multiple places at the same time. The field crew will enhance the results of cattle grazing by follow-up mowing and integrated weed management. Because of the size and scope of the weed challenge, we will be using herbicides when necessary. Targeted spraying will enable us to regain control of explosive populations of invasive plants. Our preferred strategies are mechanical and manual treatments, and we have the callouses to prove it. Partnerships are critical to our success, and we are reaching out to landowners and coordinating with Preserve staff to implement a Preserve-wide management strategy. Our goals include improving safety by removing wildfire fuels, including thatch and weeds; restoring scenic values by promoting native grasses and reducing shrub encroachment; and recovering biodiversity by improving conditions for grasslands plants and animals. All of the Conservancy’s conservation efforts are science guided, and as an example of our commitment to scientific excellence, we have developed a new partnership with the United States Department of Agricultural Research Service, Northern Great Plains Laboratory. One of the exciting outcomes we hope to achieve from this partnership is a significant contribution to the collective knowledge of grassland biodiversity, in order to inform management and restoration of grasslands far beyond our boundaries. This new initiative is a milestone in our 24-year history, a moment that reaffirms our commitment to the land, the community and our mission. The Preserve’s grasslands are irreplaceable and extraordinarily precious, not only to The Preserve community but on a national and international level too. 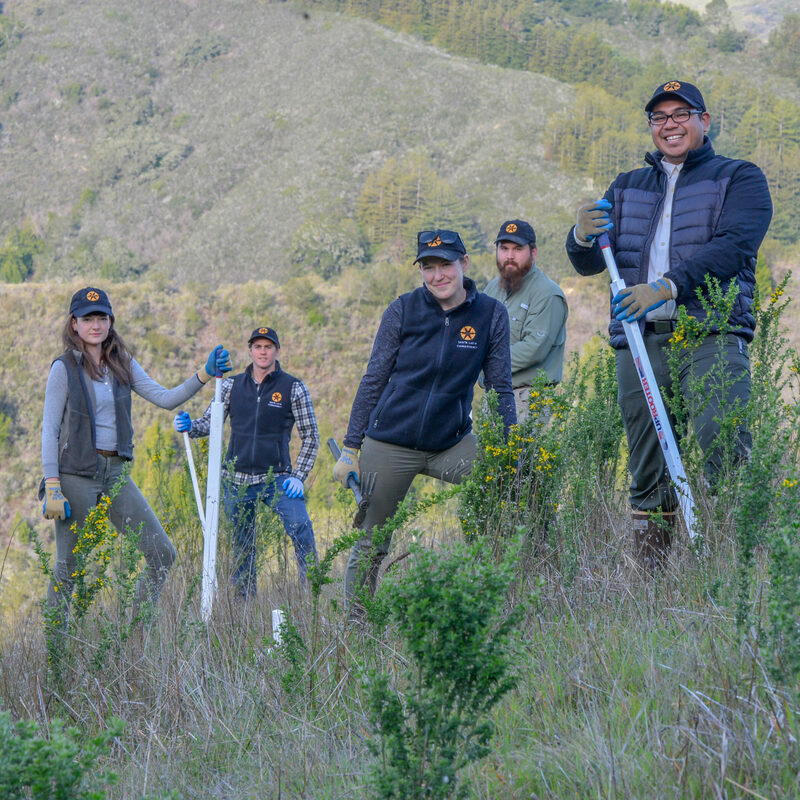 The Conservancy team is proud to protect grasslands on The Preserve, to be part of a community that cares and to be part of this ambitious initiative.